Ainsworth BE, Haskell WL, Herrmann SD, Meckes N, Bassett DR Jr., Tudor-Locke C, Greer JL, Vezina J, Whitt-Glover MC, Leon AS. Compendium of physical activities: a second update of codes and MET values. Med Sci Sports Exerc. 2011; 43 (8):1575–81. Gerth WA, Ruterbusch VL, Long ET. 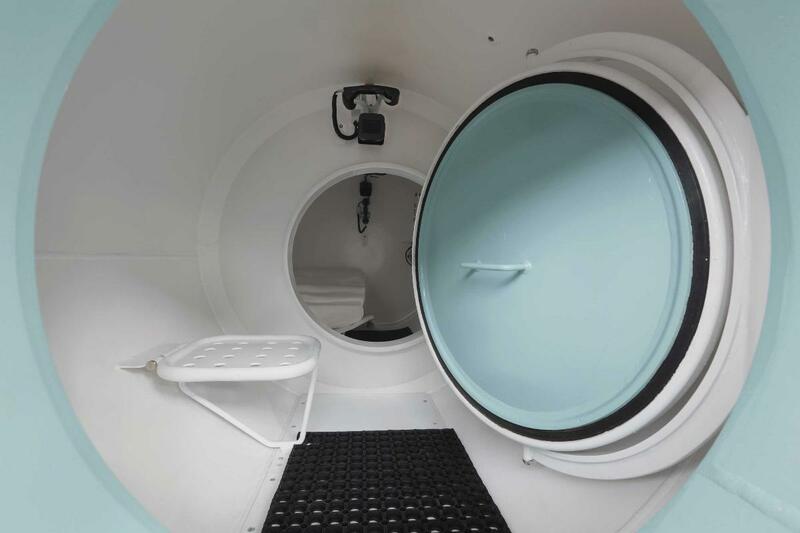 The influence of thermal exposure on diver susceptibility to decompression sickness. NEDU Report TR 06-07. November, 2007; 70 pp. Hampson NB, Kregenow DA, Mahoney AM, Kirtland SH, Horan KL, Holm JR, Gerbino AJ. Altitude exposures during commercial flight: a reappraisal. Aviat Space Environ Med. 2013; 84(1): 27-31. Longphre JM, Denoble PJ, Moon RE, Vann RD, Freiberger JJ. First aid normobaric oxygen for the treatment of recreational diving injuries. Undersea Hyperb Med. 2007; 34(1): 43-9. Pollock NW. REMO2 — an oxygen rebreather for emergency medical applications. Alert Diver. 2004; July/Aug: 50-5. Pollock NW, Natoli MJ. Chemical oxygen generation: evaluation of the Green Dot Systems, Inc. portable non-pressurized emOx device. Wilderness Environ Med. 2010; 21(3): 244-9. Pollock NW, Natoli MJ. Performance characteristics of the second-generation remote emergency medical oxygen closed-circuit rebreather. Wilderness Environ Med. 2007; 18(2): 86-92. Sheffield PJ, Vann RD, eds. Flying After Recreational Diving Workshop Proceedings. Durham, NC: Divers Alert Network, 2004. Shields TG, Lee WB. The Incidence of Decompression Sickness Arising from Commercial Offshore Air-Diving Operations in the UK Sector of the North Sea during 1982/83. Dept of Energy and Robert Gordon's Institute of Technology: UK, 1986. U.S. Navy Diving Manual, Revision 6, Volume 2. Published by Direction of Commander, Naval Sea Systems Command; 2008; Washington, D.C. (http://www.scribd.com/doc/8162578/US-Navy-Diving-Manual-Revision-6-PDF#scribd). Vann RD, Butler FK, Mitchell SJ, Moon RE. Decompression illness. Lancet. 2011; 377(9760): 153-64. Webb JT, Smead KW, Jauchem JR, Barnicott PT. Blood factors and venous gas emboli: surface to 429 mmHg (8.3 psi). Undersea Biomed Res. 1988; 15(2): 107-21.